Almost everywhere I go to talk about ethics, I face some variation of the question: 'Why be ethical?' The question flummoxes and depresses me. That's partly because I can't help but feel the question is basically 'What's in it for me?' dressed up with a bit of academic, devil's advocate flavour. But it's also because to ask that question at all, you've got to have a pretty bleak sense of who people, at their core, really are. But all the same, there are lots of people who have set out to answer precisely this question. Most of them are somehow connected to the world of institutions — government, business, non-profits and so on. You know, all the groups who studies suggest are haemorrhaging trust. There's nothing wrong with answering this question per se — in fact, it's an interesting and challenging project that's challenged philosophers since more or less the time the disciplined divorced from theology. But the answers are leaving me more-or-less equally disheartened as the questions themselves. One common answer has to do with trust. And the thinking fits pretty well into the carrot/stick dialectic. The carrot approach goes a bit like this: data tells us ethical organisations are more trusted by other stakeholders, recruit and retain better staff and might even make more money. The stick approach goes like this: unethical behaviour leads to a decline in trust, which leads to increased regulation, reporting and accountability. It stifles innovation, restricts opportunities and costs money. The second answer is alluded to in the discussion of trust: regulation. The reason you should be ethical is because if you don't we'll catch you and hold you accountable for what you've done. People can't be trusted to do the right thing, so we introduce safeguards to stop them from doing the wrong thing. These two arguments boil down to self-interest on one hand and fear on the other. They respond to the part of humanity that is self-interested, petty and manipulative. That's not necessarily a problem — failing to manage this aspect of humanity usually leaves the most vulnerable to suffer — but it's an incomplete picture of who we are. "The more we conflate ethics with trust, regulatory standards or "enlightened self-interest", the less space we allow for morality to play a salvific role — not just to stop bad, but to make good." I worry that the way we talk about ethics today makes the formation of a good will, or some variation on it, impossible. This is because for regulatory and trust-based approaches to ethics, there's always something outside morality that serves as motivation. It's Santa Claus for grown-ups: we behave so we get presents instead of coal. And I'm not certain it works — I'm not inclined to trust someone who has ulterior motives for gaining my trust. What's more, it's not clear how this approach to trust applies to groups who don't need trust — think 'too big to fail' — and don't have to fear regulation (perhaps they're the ones who make the law). What reasons do they have for doing the right thing? And how might they define the right thing in a more morally sensitive way than pointing to their clean hands in the eyes of the law? What is missing from this picture is anything that might generate a deep understanding — and love — of what's good. The more we conflate ethics with trust, regulatory standards or "enlightened self-interest", the less space we allow for morality to play a salvific role — not just to stop bad, but to make good. I wholly understand the desire to minimise harm, prevent wrongdoing and serve justice. I also acknowledge the utility value in speaking the language of people's desires — if people have been taught to think in terms of outcomes and self-interest, we may as well turn it to our advantage. But the more we do it, the more we entrench a mode of thinking that is at best narrow and at worst antithetical to the moral life itself. It might still be that in the great moral trade-offs of life, protecting the vulnerable is more important that my high-minded philosophy. But we should at least know what we're turning our back on — because in stopping people from doing bad, we might be preventing them from ever being good. Kant's quote is indeed poetic. And a fine description of ethics. We are faced with ethical dilemmas every day, choices about how we treat other people and how their viewpoint may intersect with our own. St Paul placed charity (love) as the greatest good, above faith and hope. In actual life, this is the greatest challenge. Perhaps we should revisit some of the characteristics of virtue ethics. The gap between knowing what is right and wanting to do it is absent in some versions of virtue ethics, because motivation is built in to an ethics of excellence, just because of the 'self-interest' you seem to think problematic. The trick is to see practical excellence and habitual attitudes associated with it as being derived from a community of practice (as it was for the Athenian warrior-citizen). A non-vicious form of self-interest is possible if self-interest is compatible with justice: love your neighbour as you love yourself. This is not a circular argument in a pragmatist ethics but appears to be if you are locked into the usual thinking of top-down ethical systems (as shaped by analytical philosophy). You are puzzled by this non-problem because you have an unhelpful meta-ethics. Try critical-pragmatism! Thanks for this article, Matt. As a citizen troubled by the collapsing of trust in so any institutions (as is playing out in the subsequent inquiries and royal commissions), this helpfully sets out the quandary we're in. It also points to the hope this situation offers if enough of us can engage with it beyond self-interest, and open up to its larger possibilities. That's absolutely right. Ethics is not just about separating right from wrong, but inspiring people to do what's ethically worthwhile and not just OK. "You're only on the planet once", why not make your life a plus? Years ago I taught the world's only course on ethics in mathematics, and made an effort to cover really ethically worthwhile uses of mathematics; one of the course's ex-students became a human rights statistician. PS. CS Peirce's conception of 'sociality' (consistent with Wittgenstein's argument in On Certainty) is essential to a critical-pragmatic approach to normative questions. It provides a way of showing the imbeddedness of normative ethics in situations (history, circumstances and culture). In this approach, some forms of the argumentum ad hominem are not illegitimate so I hope you will not take it amiss if I point out that a top down principled ethics (sky-hook ethics) is a perfect socio-cultural fit with a dogmatic theology. An historical-critical, non-foundational, fallibilist and pragmatist ethics fits well with an evolutionary, developmental view of theological questions. And, as stated above, I believe bridges Hume's unfortunate fact/value, ethical principle/praxis divisions. I couldn’t agree more with everything you wrote Matt. Thanks for putting it into words. My objection is that the many philosophical theories on moral choices do not provide answers. Some big issues, murder, robbery, are clear. They are against the law. But others are disputed. The theories allow you to choose different responses to an ethical questionKant’s formulation: “Act only on that maxim through which you can at the same time will that it (your action) should become a universal law” enables those on either side of current debates to convince themselves that their position is the universal law In short, Kant‘s imperative allows us to choose opposing ethical choices solutions. 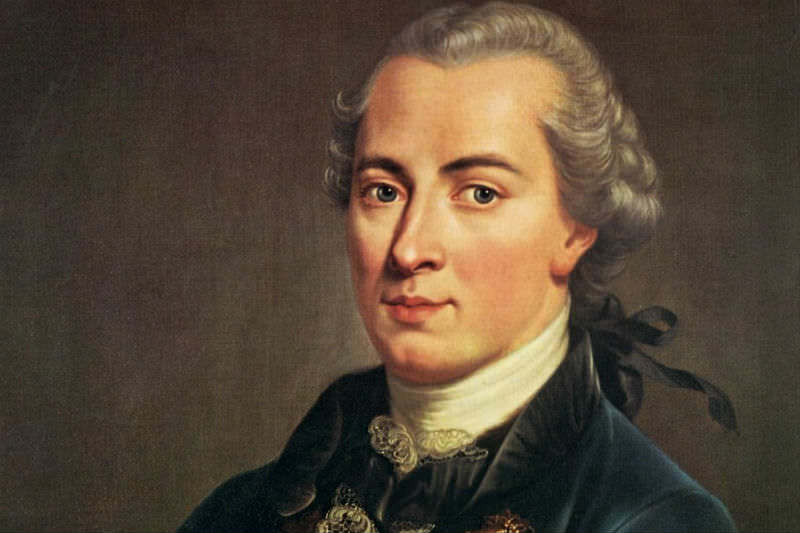 Kant also wrote in Groundwork to the Metaphysics of Morals. that true moral worth is 'the good will'. The good will is the desire to do good for its own sake. Again it is another useless guideline for it is inconceivable that only one side of the multitude of moral conflicts that we have in the world today – gay marriage, euthanasia, abortion, the death penalty, gun control in the US ,is motivated by good will – that the other side is motivated by bad will. Both sides are motivated by the good they deem best for their community. Both also deem themselves virtuous. While we worked to find him a permanent place, he was put in a temporary one, far away from us. The decision-makers gave no thought to Mum's battling public transport and traffic, but it seemed like a nice place. We thought Dad was just being difficult when he begged us to take him home.